As part of the Institute on Ecosystems' Rough Cut Science Series, Dr. Rob Walker will give a talk titled "From Molecules to Main Street: Montana Consortium for Research on Environmental Water Systems (MT-CREWS)" at noon on Wednesday, October 3 in Barnard Hall Room 126. Dr. Rob Walker is a Professor in MSU’s Chemistry and Biochemistry Department. He also serves as the state coordinator for the Montana University System’s cooperative Ph.D. program in Materials Science. Walker earned a B.A. in Chemistry from Dartmouth College and a Ph.D. in Chemistry from the University of Wisconsin–Madison. After postdoctoral work at the University of Oregon, he joined the faculty at the University of Maryland, College Park in 1998. While at Maryland, Walker also served as the associate chair for that institution’s Chemical Physics Program. 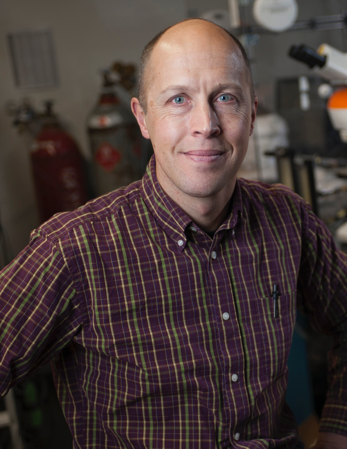 Walker moved to Montana State University in 2009 where his research program continues to use optical spectroscopy to study chemical structure and reactivity at interfaces. He has published more than 100 scientific papers and has successfully mentored more than 20 Ph.D. students. 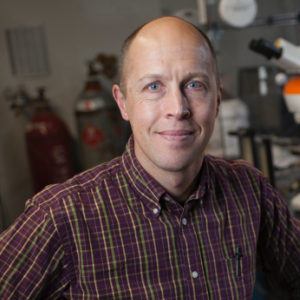 His work has been recognized with an NSF CAREER award, a Sloan Foundation fellowship, and, most recently, a visiting faculty fellowship from the Danish Science Foundation. He was named an AAAS Fellow in 2012. Walker’s research program is currently supported by the National Science Foundation, the Department of Energy, and the Office of Naval Research.